A tasty children’s treat in adult form! 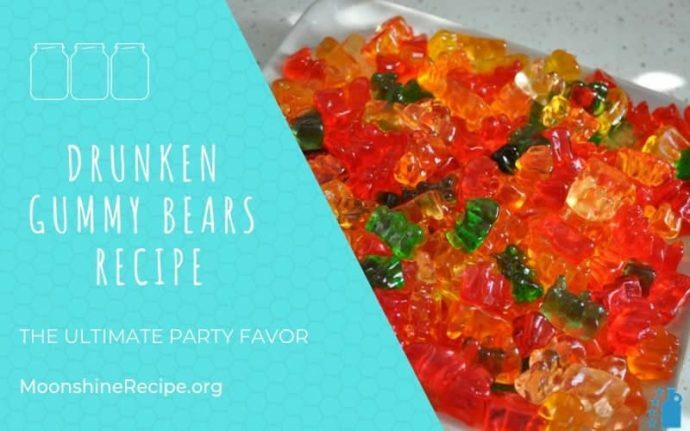 Gummy Bears can become an addiction on their own if you’re not careful enough, but add alcohol and they get even more irresistible! The perfect party snack everyone will love and get drunk on without even noticing. And the best part – it’s so simple to make! All you need is a bottle of vodka or a jar of your favorite ‘shine and a pack of Gummy Bears. Definitely one of the easiest and quickest infusion recipes out there that tastes great and makes for a fantastic party favor. The greatest party trick of all time! Fill the glass container with Gummy Bears leaving plenty of headspace as bears will expand considerably. 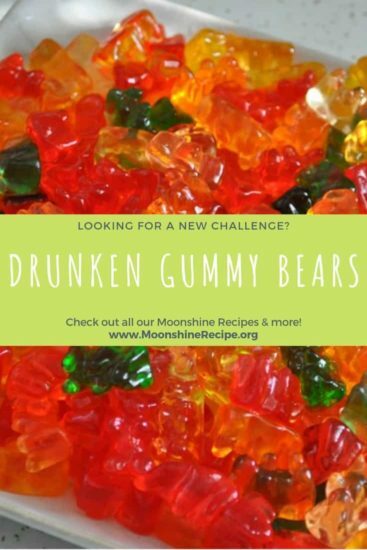 Add your moonshine/vodka so it covers the Gummy Bears. Shake the container, close it, and put it in the fridge. Store for at least 3 days, shake gently twice a day to ensure proper mixing. Pour on tray or into glasses and serve. Gummy Bears will absorb all the alcohol and expand considerably, so make sure that the vessel has plenty of room for that. You can vary the amount of spirit used to make the bears more or less boozy according to taste. Using your own moonshine adds tons of kudos to the mix, impress your friends! These glasses make a perfect serving container!